From the leader in anime Katsuhiro Otomo (Metropolis, Memories), comes his first feature- length directorial project since his breakthrough film, Akira. Ten years in the making, Steamboy is a retro science-fiction epic set in Victorian England. A prodigious inventor named Ray Steam, receives a mysterious metal ball containing a new form of energy capable of powering an entire nation, the Steam Ball. Young Ray Steam must use the Steam Ball to fight evil, redeem his family, and save London from destruction. With more than 180,000 drawings and 400 CG cuts, Steamboy is one of the most elaborate animated features ever created. 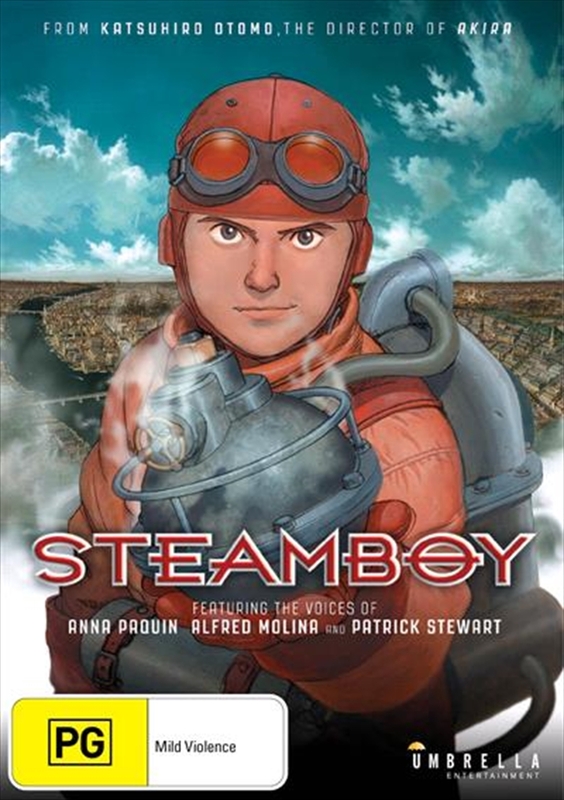 Steamboy will be brought to life with an outstanding ensemble voiceover cast including Anna Paquin (X-Men), Patrick Stewart (X-Men), and Alfred Molina (Spider-man 2).